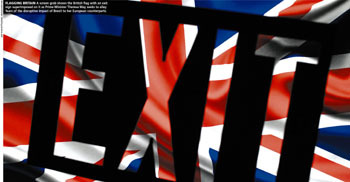 Influential leaders met recently to debate the implications of Britain’s exit from the European Union (EU) at the Brexit and Global Expansion Summit, which was held in London from 16 to 18 October. In the wake of the EU referendum, global business leaders brainstormed behind closed doors, to identify alternative international markets for their investments. Contingency plans were made as Brexit became a reality. The large-scale three-day conference and exhibition convened the most influential leaders, providing practical insights and takeaways on the impact of Brexit on corporate international expansion strategies. This event was of strategic importance and well-attended by the who’s who of global corporations. Naturally, the debate focussed on the impact of Brexit on global investments, apart from technology and innovation. The event provided a dynamic opportunity to speak with experts, capture pertinent up-to-date market information and network with a variety of stakeholders, as they plan international expansion strategies in the light of Brexit. Emotions will always run high when it comes to debating the pros and cons of Brexit, and one of the highlights of the event was a fiery discussion between representatives of the Labour and Tory Parties, as they stormed over the implications of Britain’s exit from the EU. London has been a dominant international finance centre over the decades and the Brexit vote has created an unprecedented situation that is being felt across the payments industry. “In the first days following the vote, several payment companies halted [their] services due to market fluctuations – and there is still much speculation on the long-term effects of Brexit. I don’t believe we’re out of the woods yet, as many currencies rely on GBP for valuation…” Senior Vice President and Head of Transpay Nagarajan Rao stated. However, the founder of the Global Expansion Summit believes that the disruptive power of technology will fundamentally change how companies execute their international expansion strategies – and as a consequence, how governments respond to the challenges. Perhaps the effects of Brexit will be softened by the rapid pace of digital transformation. Issues such as taxation, investment policy and foreign exchange controls will need to be refined in light of Brexit. Rao went on to say that technology is ethereal and recognises no physical borders. It is global in its essence, and belongs to everyone and no one at the same time. It’s important that governments understand this, because it will become the defining policy challenge in the decades to come. Intellectual property, patents, brands, algorithms, platforms, cloud computing and so on are worth much more than the physical offices, laboratories, factories and R&D centres in which they were developed, he stressed. In the wake of Britain’s vote to leave the EU, the UK government has hinted it is headed for a so-called ‘hard Brexit,’ which means leaving the single market and an end to freedom of movement. Simon Segars, CEO of ARM Holdings – Britain’s largest technology firm – has warned that the government’s plans to clamp down on immigration from the EU, in the event of a hard Brexit, would damage his business. He said that placing a limit on the number of foreign workers could hamper his company’s growth plans. “We have 300 people now from mainland Europe and more could begin [work] tomorrow. If there was some law enacted that said every employee has to be from the UK, the business would fail,” he lamented, citing “access to people” as being crucial for business. Sensing an opportunity, Ireland has demonstrated its determination to battle with other EU nations over any businesses shaken loose as a result of the Brexit verdict, by making its case to provide a new home for the pan-European banking regulator – the European Banking Authority that is currently based in London. While all this may be playing out in far-off London, Brexit is set to make an impact right here on Sri Lanka’s doorstep too. Britain is Sri Lanka’s second-largest export destination, accounting for nearly 10 percent of its exports. Moreover, nearly 30 percent of its exports are destined for the EU. As a result, it is possible that the apparel industry will be affected more than most other sectors. However, an alternative theory exists that Brexit will instead result in a level playing field for Sri Lanka’s apparel exporters, as countries that currently enjoy duty-free access to the UK could lose the concession. In the meantime, the ‘wait and watch’ attitude by businesses will continue to linger until the haze from Brexit clearsand a clear path emerges.